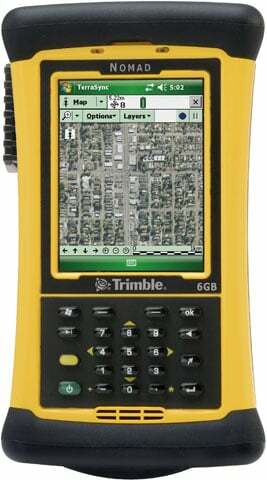 Trimble Nomad - 900LC, Numeric Keypad, 806 MHz Processor, 128MB RAM/1GB Flash, 5200 mAh Lithium-ion Battery, Windows Mobile 61, Bluetooth, Wi-Fi, GPS, Camera, Compact Flash And SD ports Color: Green - Custom part, Please Call for more information. Interface Cables And Charging Cradle Sold Separately. The Trimble NMDAGM-111-00 is also known as NMDAGM-111-00	or NMDAGM11100	.